A Step Up from the Powerful Summit Air Cleaner with All The Upgraded Carbon Zeolite Filter and Advanced PCO Filter for Maximum Removal of Dust, Odor, Mold Bacteria, Viruses, Heavy Smoke, VOC's & Other Chemicals with Fast 350 CFM Airflow and Up to 3500 Square Foot Coverage! Includes Pre-filter, True HEPA filter, Advanced Carbon Filter, Triple Ionizer, UV lamp, Ozone and Advanced PCO / Tio2 filter. If you have tough odors or heavy smoke from cigarettes or cigars, strong smells from cooking, severe allergies or asthma, sewage odors, methane etc, or if you want to truly sanitize heavily polluted air while killing the maximum amount of mold, bacteria and viruses in your home or office, you need the Summit PLUS. The Summit Plus air purification system represents the highest evolution of the Summit compact portable air purifier line. 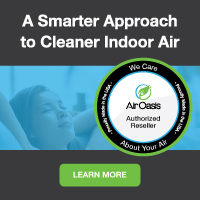 The 7-stage filtration system includes all of the best top-rated air sanitizing methods (UV, negative ions, ozone generator, advanced PCO filter), tried and true HEPA PLUS an advanced carbon / zeolite filter to create the most effective indoor air scrubbing filtration system available and best for controlling odors. The initial Dust and Debris Pre-Filter phase of filtration effectively removes the majority of larger dust, dirt, pet hair, and debris from the air you breathe. As a result, you're almost immediately breathing cleaner air, and there is less stress is placed on each of the following filtration stages making your portable air cleaner more effective, durable, and makes all the other filters last longer. The hospital grade HEPA fitler that follows removes over 99% of particles as small as 0.3 microns. A step up from the standard Summit air cleaner, the ADVANCED CARBON & ZEOLITE filter then quickly traps and eliminates chemicals, VOC's and tough odors better than many other carbon filters since some chemical adhere better to carbon and some adhere better to zeolite, such as ammonia from pet urine odors, etc. The Summit Plus then direct the air past its DUAL GERMICIDAL UV LIGHT SYSTEM. Artificial UV energy has proven to be 1,600 times more effective than the sterilization effect of the sun in killing viruses and bacteria, mold spores, mildew bacteria and other airborne pathogens. Also a step up from the standard Summit air purifier, the Summit Plus' new ADVANCED PHOTO-CATALYTIC (PCO) FILTER offers more surface area than standard PCO filters and eliminates remaining chemical odors and fumes better and faster. This Advanced PCO filter utilizes the UV lamps' catalyst properties more efficiently to activate the titanium dioxide. This reaction results in more effectively destroying chemical odors such as cleaning solutions, perfumes/colognes, and VOC's to mention just a few. VOC's are found in gasoline, kerosene, disinfectants, paint/varnishes, carpet, upholstery, and building materials for example. TRIPLE ANION and OZONE GENERATOR with OZONE TIMER Finally, the Summit Plus' adjustable ozone generator allows you to properly use ozone to quickly destroy airborne germs, eliminate strong odors and freshen the air in a room. Ozone is a very effective air sanitizer, one of the best odor and germ eliminators, and regarded as safe by many experts when used for short periods of time. The ozone generator has an on / off switch so you can switch on the ozone only when you need it. The triple anion generator releases millions of negatively charged ions like those found in nature, further purifying and freshening the air, destroying airborne germs, odors, VOC's, etc. The Summit Plus is Rocky Mountain Air's top of the line model that represents one of the very best values in portable compact home and office air purifiers, with the most purification stages in one unit, compact size, large room coverage, maximum air purification power, and relatively inexpensive price. Order your Summit Plus air purifier today and feel the difference advanced 7-stage air purification can make! There are not many official online retailers of Rocky Mountain Air air quality products and unfortunately the internet is full of scams. As a general rule of thumb, if the deal seems too good to be true, it probably is. Cheap cut rate online deals often end up being a used or refurbished unit, which do not come with Rocky Mountain Air's top rated 3 year warranties. Or even worse, you may end up buying a cheap discount air cleaner that doesn’t have the energy efficiency, features or real air cleaning power provided by top-rated Rocky Mountain Air air filtration systems. When you buy your money and energy saving Rocky Mountain Air air filtration products from us, you get a brand new unit, at the best possible price, with Rocky Mountain Air's amazing 3 year warranty. Our innovative partnership with Rocky Mountain Air allows us to ship directly from their warehouse, which cuts out the middle man and eliminates the high operating costs of traditional brick and mortar big box stores. These savings get passed directly to you, allowing us to offer brand new allergy and asthma symptom-eliminating Rocky Mountain Air air purifiers and filters at the best possible everyday cheap discount online sales prices. And buying from us is definitely better than direct. If you buy direct, you'll have to pay shipping. Buying from us, however, you always get fast free ground shipping as our thanks to you for shopping with us. Note: Rocky Mountain Air stands behind their products with a great 3 year warranty, which is more than most air cleaner suppliers offer. They will repair or replace defective any unit as deemed necessary by Rocky Mountain Air but they do not accept returns due to buyer's remorse, change of plans, etc. That said, they are an incredible value and perform extremely well. Add Complete Replacement Filter Set?